As accent chairs go, you won’t be finding anything more attractive at such a reasonable price. This chair is a cheap living room chair that looks more like a designer chair but for a fraction of the price. Easy to put together and amazingly comfortable this chair works perfectly on its own, at a table or as part of a larger furniture set. A stunning chair that is elegant, understated and immensely sleek, it exudes class and elegance in an understated manner. Although the seat itself is relatively low to the ground and offers little in lumbar support, it is still incredibly comfortable. 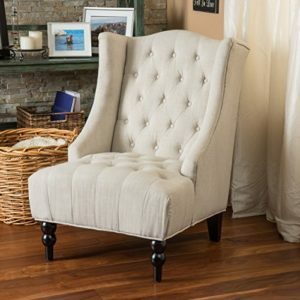 This chair is a great addition for anyone hoping to achieve a stylish and elegant French inspired look. When you look at a recliner you expect it to do a couple of things well and this is largely be comfortable and recline. While this chair covers the comfortable part of that list (unless you are tall or even slightly overweight) it often falls down on the reclining part. Unfortunately the recline feature in many of the chairs isn’t as good as you would expect and even though it is a low price, it is fair to say that more could be achieved very easily. Having said this if the chair is the right size for you and you manage to pick one up that reclines easily then you will be rewarded with an incredibly comfortable chair that is easy to put together and will give your back excellent support. As chairs go this is a lovely one and really does fit the bill for many people. It might be small with a low back but for a single person or for bedtime stories it is absolutely perfect (We have a whole guide dedicated to bedroom chairs). Another market that they seem to have impressed is mums who find this chair immensely comfortable to feed in. It doesn’t take up much room and the swivel feature means that you are able to put it into tighter spaces than a normal chair without having to worry about access. Although the glide feature is smooth it can become quite noisy if it is used on a very regular basis. As the seat is both on the small side and has a fairly low back, tall people often find this seat less comfortable than shorter people. 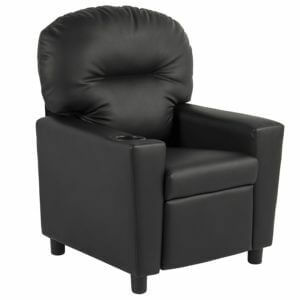 Finding a chair for your kids is just as important as finding a nice chair for yourself in the living room and this recliner is perfect for younger kids. One of the best recline mechanisms on the market for children and with a built in cup holder, it really is designed for comfort and ease of use. Even better, the handy cup holder means you’re less likely to be cleaning up spillages from kids who put their drinks on the floor. A really quick and simple chair to assemble, this chair is sturdy, easy to clean and excellent for kids and parents alike. Although it can sometimes take a while to arrive and the seat itself will only fit kids up to around 10, this chair is definitely worth its weight in money. First, you should find the best place to purchase the chair. What kind of seat you want, and so much more. 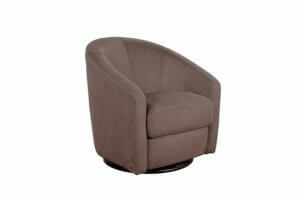 The best place to buy the best living room chairs should have designer chairs. Custom made chairs (designer) will meet your exact description. They made of high-quality fabrics and hardwood; therefore the chairs are durable. You can find designer chairs in online stores that are affordable than buying in high street stores. Alternatively, you visit a local furniture shop to look at their selections. 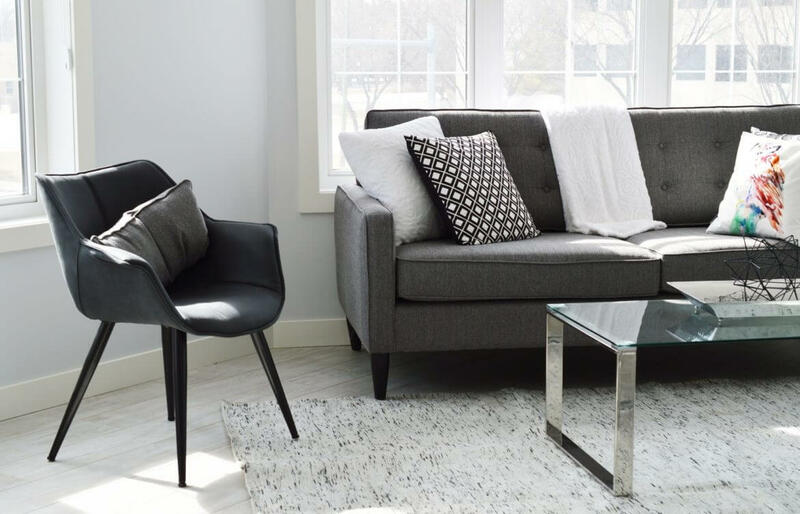 As the living room chair is such an important piece of furniture it is better to wait and find the perfect one before rushing into buying something cheap. There are bargains to be had out there but quality is absolutely necessary and you need to make sure that you read reviews before you buy anything. A good quality chair will last for years and only become more comfortable. Before you make your purchase make a list of what you need from the chair and make sure it ticks all the boxes, it will be worth the extra effort to find something perfect. The form of the seat influences its suitability for watching TV, relaxing or reading. The shape of the seat is an important consideration since it affects usage. 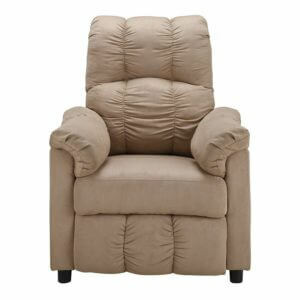 For example, if you want more comfort in your living room the best chair is a recliner. The location of the seat in the living room is important; since it will always take up the largest space. You will have to calculate the amount of space available that the chairs will take; this gives you the right spot. Remember that after purchasing the chair you will have to bring it inside the house through the door. Don’t buy a seat only to regret later, when it too big for the door. Measure the size of the front door first. Also, before purchasing a chair check on the return policy in case, the chair doesn’t suit the selected room. Moreover, the frame of the chairs is also important, and frames are either made of wood or metal. Also, choose the best chair stuffing; you can either select foam or feathers mixed with soft polyester. On the filling, you can ask an expert for the best choice. Selecting the best material for you chairs is also essential. Not all material can be used to design the best living room chairs. Some material may look expensive but are cheap. You can either decide to select sofa fabrics like velvet or cotton or select leather. Also, your chairs should have the same theme as your living room decor. Colour and texture of the material are also essential. If you select the best affordable living room chairs, they will probably last longer than your decoration, so be sure to choose natural colours. Finally, the amount of money you are willing to spend will influence your choices. Do you want expensive, cheap or affordable chairs? In all case find something cheap but durable, price does not always indicate quality. The living room is a space to relax in and so if you aren’t comfortable with the chair you’re sitting in then it isn’t doing it’s job properly. A seat with a lot of cushioning is always a bonus and will leave you feeling great whereas one that is only slightly padded will soon make you sore and uncomfortable. Arm rests and the size of the back as well as the height of the seat from the floor are all things that will affect not only the look of the chair but how you feel about it. Only you can decide what you are looking for in a chair but these are things to keep in mind. In this buyers guide we have looked at a few of the many different types of living room chair you can buy. Living room chairs are so important to get right because if they look out of place it can throw the feel of the entire room. There are many different things to look out for when you are buying a living room chair but more importantly is always comfort and look.